We have tried to anticipate a wide variety of questions regarding AfterLifeData.com and have answered them below. There is also more detailed information in the other areas of this site and on our blog. If you still have additional questions after you have thoroughly reviwed this site, please contact us. We created AfterlifeData.com because we are curious people. Curious about why we are here, who we are and what happens to us when we die. Nearly everyone is curious about these things. We wanted to see how much of the information that was available actually agreed or disagreed with each other. And, since we are web developers and designers, too, we figured we would combine our expertise with spirit channeled information and respected authors' information to see what results appeared. 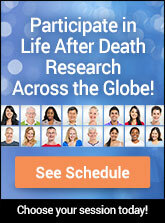 Our goal was to create the most comprehensive resource about the afterlife. You can find our background information on the About Us page. We decided to use information from the website www.afterlife101.com as the primary data source for this website. The Afterlife 101 book contains 265 Key Findings, which have been extracted from the main body of this spirit-guide-dictated book. The breadth and depth of this material seemed to provide us with an excellent opportunity to gather many quotes from other afterlife sources, which could be compared one-to-one with these Key Findings. Also, please review our Methodology of Afterlife Research for further details. How do I know this information is real? That is for you to decide. None of the information on AfterLifeData.com is put here to attempt to pursuade you to believe or do anything. Your beliefs and your actions are your own. We encourage you to explore this site in great detail. Feel free to bring discrepancies to our attention and read through all of the sources for yourself. They are all documented on the Sources page and have links for your convenience. How do I refer to your site? When writing a reference to our site, please use "AfterlifeData.com" as the official name of our web site. Variations such as "Afterlife Data," "After Life Data," "Afterlife Data .com", etc. are not accurate representations of our web site's name. We appreciate your attention to this detail as it helps others to recognize AfterlifeData.com better. You are most welcome to link to our site using the HTML code below. Just copy and paste this line of code into your HTML document. Why do you include links for people to purchase books and other material? No one gets paid to create this web site or spend time updating it. We decided to add these links to the site in order to generate a small income so that we are able to spend more time updating it and bring you new material. By using the links we have included for your purchases, you help us to keep working on the site while some of our basic bills get paid.